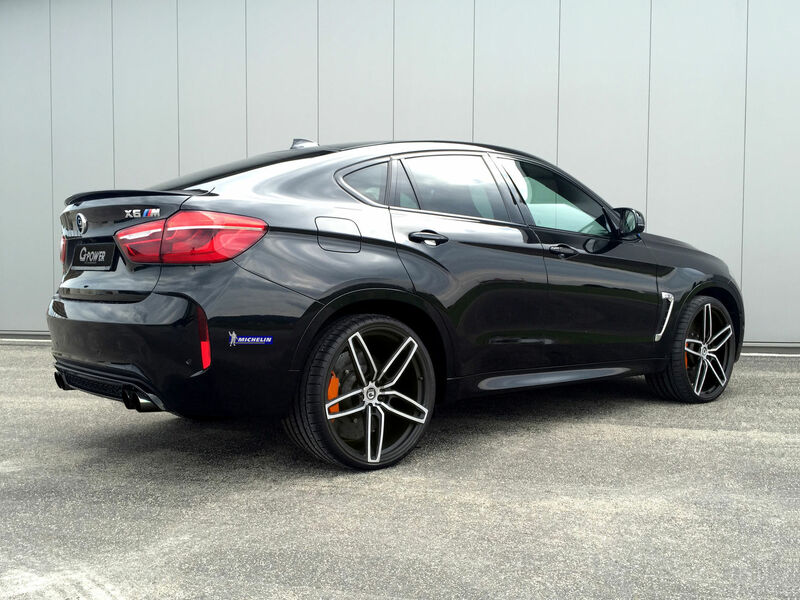 Even in stock form, the new BMW X6 M is one of the highest performers in its segment. BMW has created a monster truck with coupe curves to not only conquer the track, but also serve as a glorified daily driver. And if it’s standard raw power is not enough to satisfy your tastes, then tuning companies are here to help. German powerhouse, G-Power, just unveiled their own BMW X6 M program which boosts the power in the X6 M by 80 horsepower and 80.6 Nm (59 lb-ft) of torque. Now the monster racing truck outputs 650 horsepower, 830 Nm (612 lb-ft) of torque and has a top speed of 300 km/h (186 mph). All of these impressive figures are achieved thanks to the G-Power Bi-Tronik 5 V1 power module, or the equivalent Bi-Tronik 2 V1 ECU remap. The Bi-Tronik 5 V1 power module is a plug and play device placed between the factory ECU and engine. 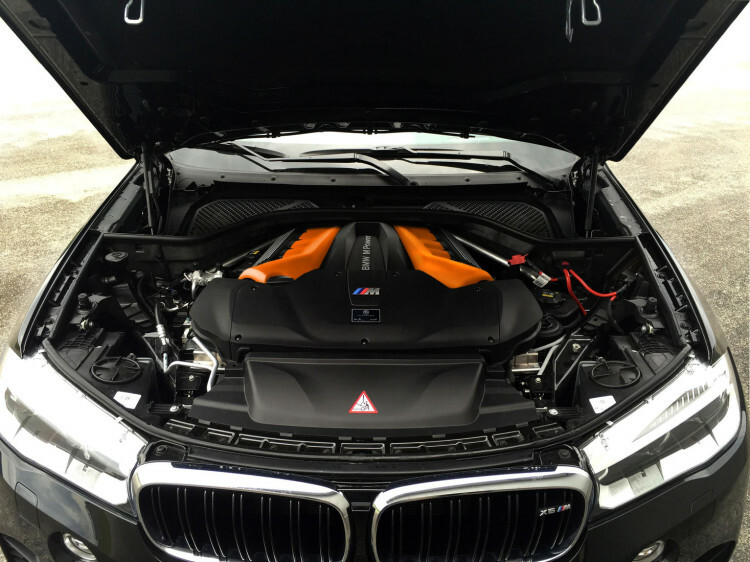 It allows customers to tweak the throttle response and power delivery characteristics of the engine. The innovative power module remains inactive under partial load conditions, therefore delivering the standard fuel consumption, but with the throttle down, the engine opens up bringing lots of power instantly. 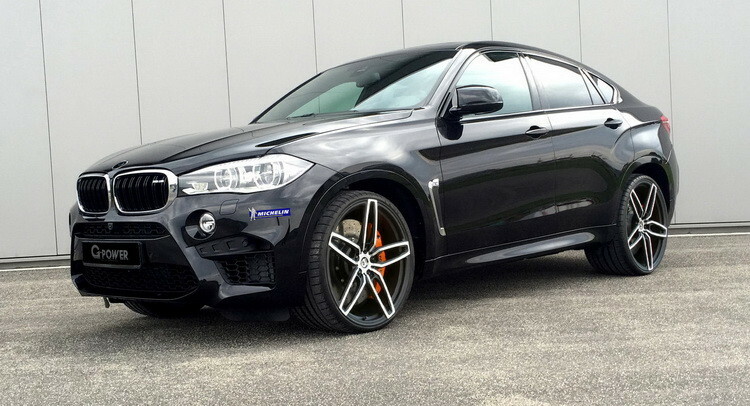 G-Power Hurricane RR forged alloy wheels are offered for the car. They are sized at 23×11 and wrapped with 315/25 Michelin tires.